First State Woodturners will be touring the Wharton Escherick Museum in Malvern, PA, on Saturday, July 25th. 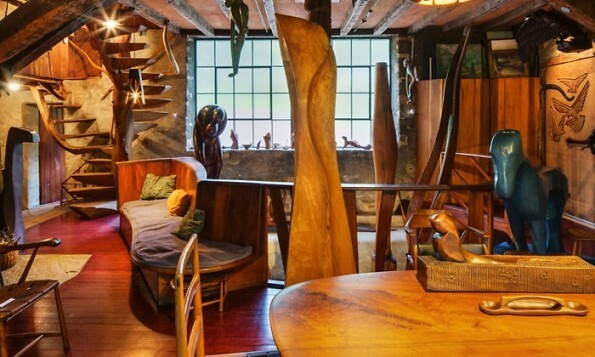 Wharton Esherick (1887-1970) was a sculptor who worked primarily in wood, readily extending his unique forms to furniture, furnishings, utensils, interiors, buildings and more. His motto, “if it isn’t fun, it isn’t worth doing,” is evident in the joyful expression of his work, inviting the eye and the hand. A National Historic Landmark for Architecture, his hilltop studio/residence, with more than 300 of his works on exhibition, has been preserved much as it was when the artist lived and worked there. For more information, please visit the Wharton Escherick Museum Website. In lieu of the Field Trip, the regular July meeting will not be held.